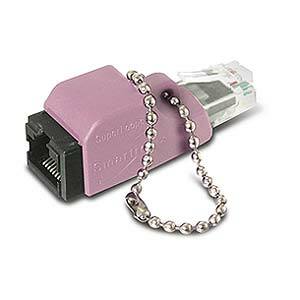 The SuperLooper Gigabit Crossover Adapter converts any standard Ethernet patch cable to a crossover cable for 1000 BASE networks. Used with a standard Ethernet patch cable, the SuperLooper Gigabit Crossover Adapter can network two computers in a Gigabit network without requiring a hub. This feature is great for creating a personal network in the office, a network at home, or for copying files between two computers.